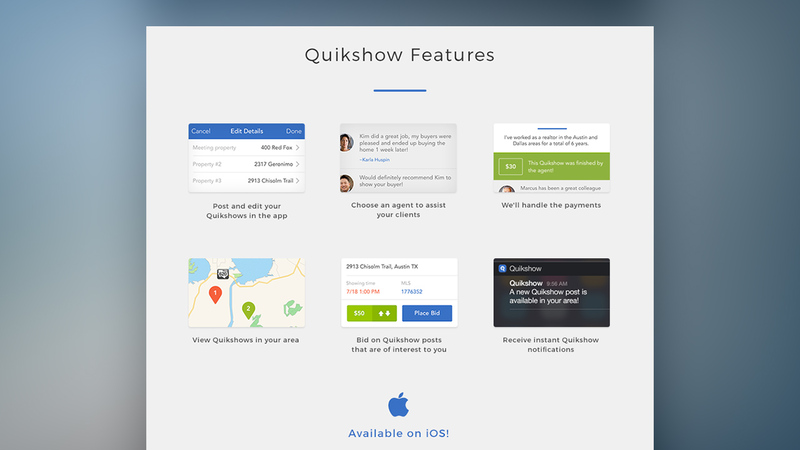 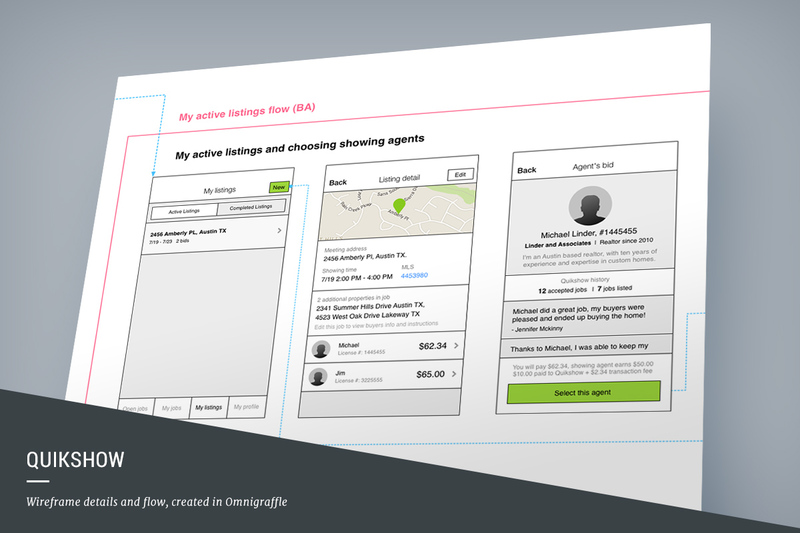 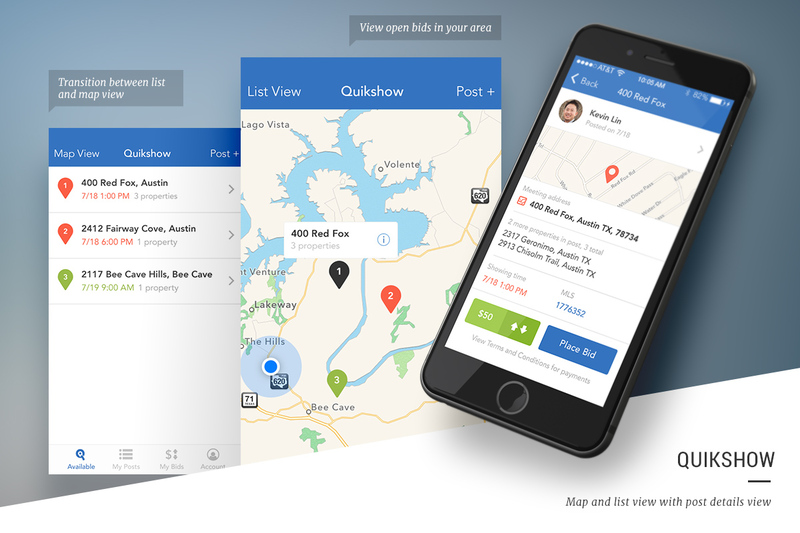 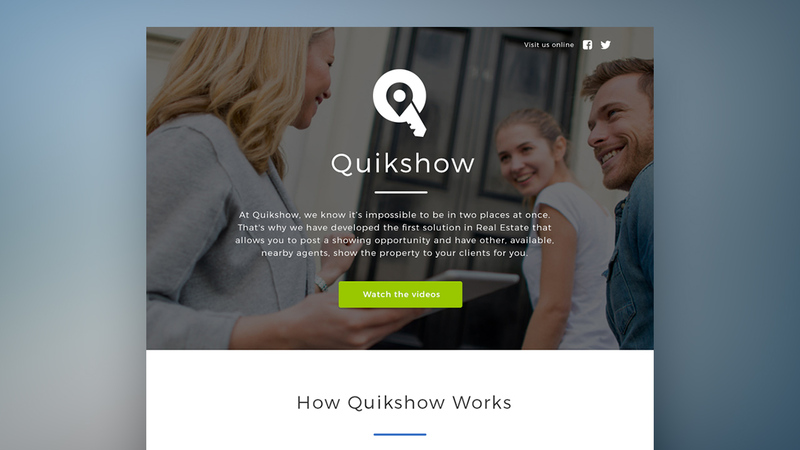 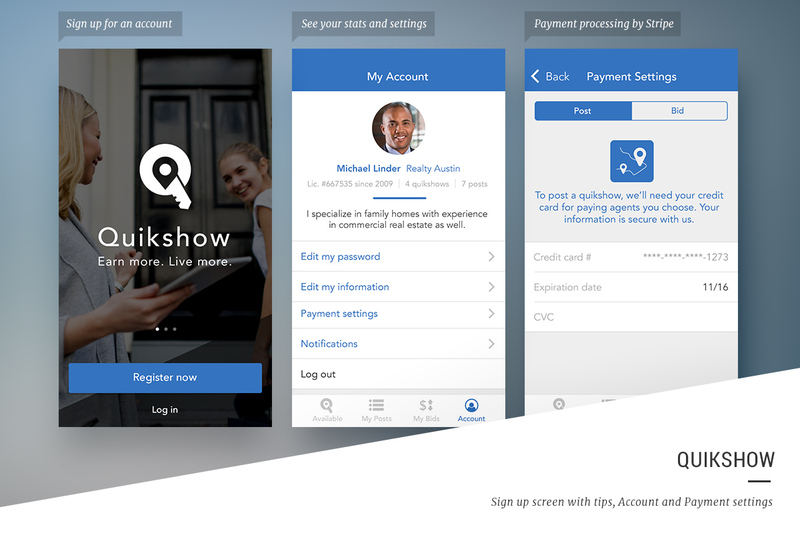 Quikshow allows real estate agents to post or bid on jobs for showings. 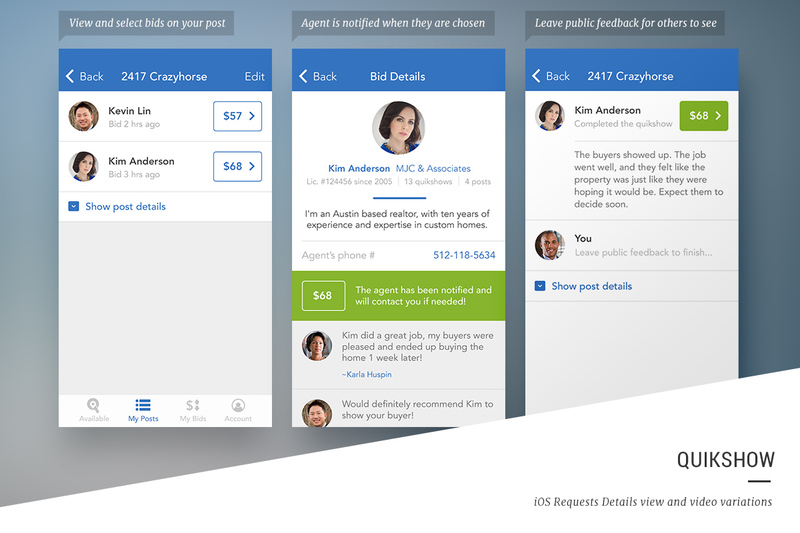 Buyer's agents can post a property with a time and location, and then choose bids from other agents in their local regions. 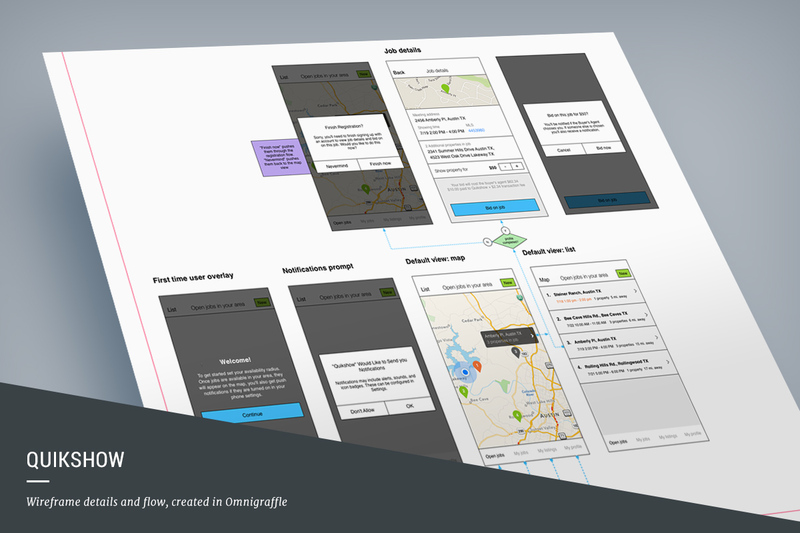 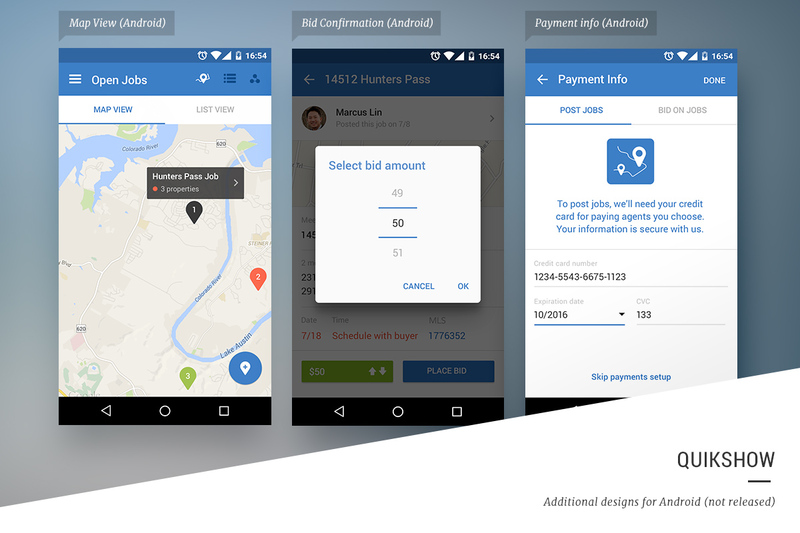 Payment processing provided by Stripe, development by Beachside Coders.